When conservative treatments aren’t enough to address chronic spine pain, you may need spinal surgery. At Northwest Spine Center in The Woodlands, Texas, J. Michael Graham, Ph.D., M.D., offers several minimally invasive surgical options to treat spine damage. 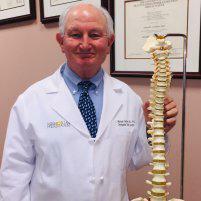 As a fellow-trained spine surgeon, Dr. Graham provides comprehensive care using the latest surgical advancements. To find out if you’re a candidate for minimally invasive spinal surgery, call the office today or schedule a consultation online. What’s involved in minimally invasive spinal surgery? The goal of minimally invasive spinal surgery is to repair damage to the spinal vertebrae and relieve pressure on the nerves without causing additional trauma to your body. Minimally invasive surgery requires only small incisions to access the affected vertebrae, which ensures you have less scarring and a faster recovery time than traditional surgery. In many cases, Dr. Graham can complete minimally invasive spinal surgery on an outpatient basis, so you won’t have to stay in a hospital during your recovery. He can also use local anesthesia to keep you comfortable, further reducing health risks associated with general anesthesia. Why do I need minimally invasive spinal surgery? Surgery of any kind is often the last resort in treatment. Dr. Graham may recommend nonsurgical treatments for a variety of spine conditions before suggesting surgery. What minimally invasive spinal surgery techniques are available? This type of procedure is useful for removing part of a herniated disc that causes nerve compression on the spinal nerves. If you have a narrowing of your spine, or spinal stenosis, a decompression surgery can remove areas of soft tissue or bone to widen the spinal canal. This innovative technique can treat degenerative disc diseases and recurrent disc herniation conditions by fusing areas of the spine together. Dr. Graham can determine what kind of surgery is right for you based on your surgical goals and the extent of your injury. In some cases, minimally invasive surgery may not be suitable for your condition, and Dr. Graham will opt for traditional surgery. Find out if you’re a candidate for minimally invasive spinal surgery by calling the office for an appointment. You can also book a consultation with Dr. Graham online.